I'm Fern Mercier and I've been practicing my twin passions of Astrology and Tarot for nearly 40 years. I am a professional reader, teacher, consultant, writer and educator in both disciplines. Learn more about Fern here. The cards work as if they were a mirror of your inner psychic realities, which are brought into consciousness to reflect the underlying themes in your relationships, at work and in your family. A natal chart is like a roadmap signposting your birth potential - the stuff you are, and how to use that more fully in your every day life. An excellent way to gain a deeper understanding of yourself and your place in the world. Private lessons are available for tarot, astrology and palmistry. These are usually contained to 6 week modules, and can be extended to suit your needs. Learn how to read your own natal chart to discover the workings of astrology. We explore meanings of the zodiac signs, planets, houses and aspects and how to interpret them. 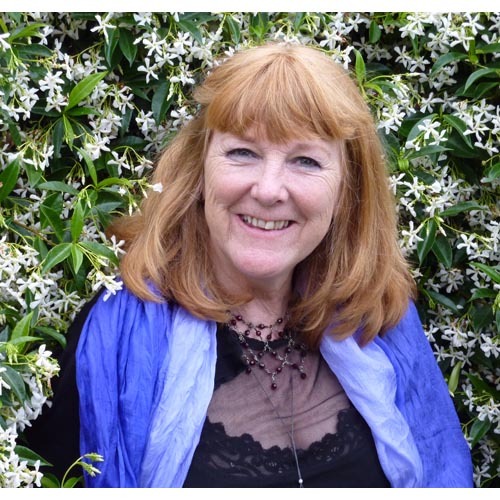 Fern is an experienced speaker and has presented entertaining and informative talks for many different occasions. Learning in an ongoing small group of like-minded people or attending a one-off workshop or Conference, there's always something happening in the educational worlds of Tarot and Astrology. Entertainment make to order for your special party. Whether you're organising a corporate or private party, a Tarot Reader is an original and fun way of engaging and amusing your guests.